Getting kids to eat their veggies has never been easier. 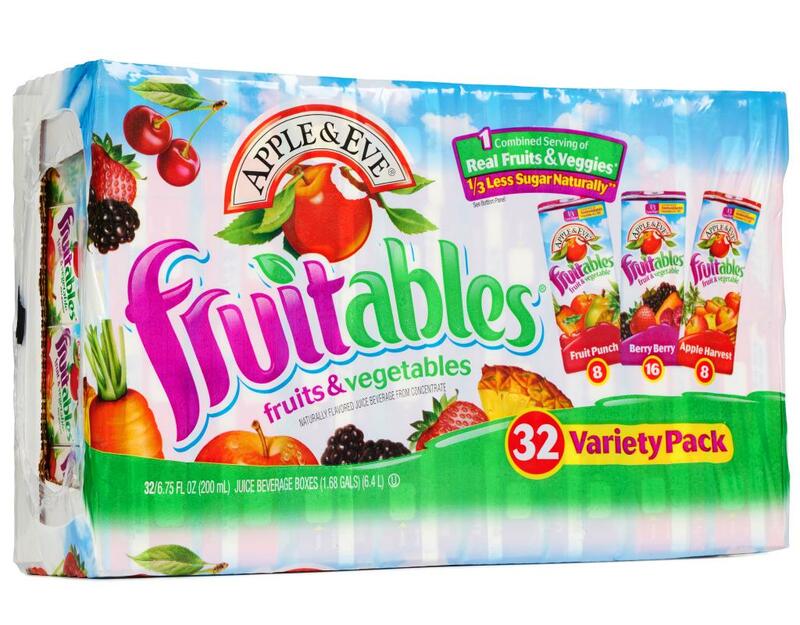 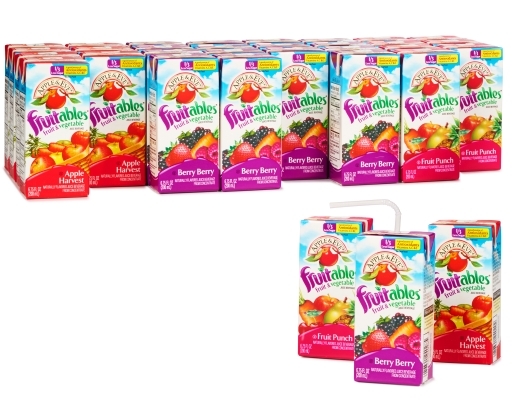 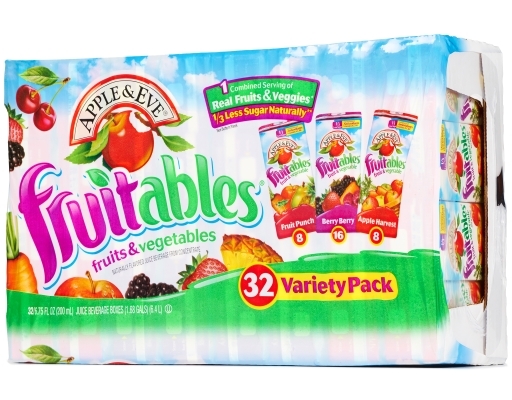 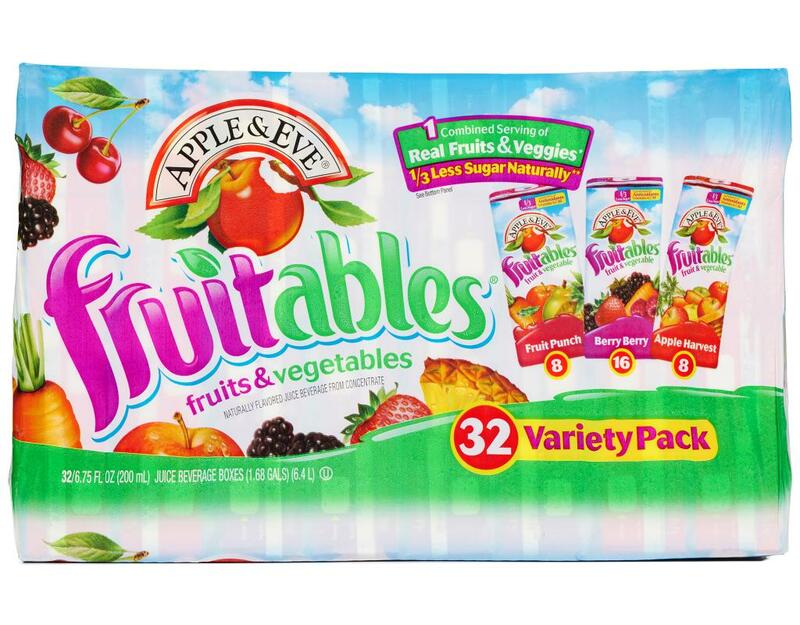 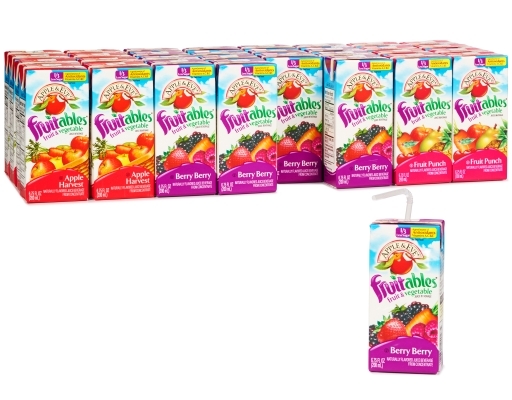 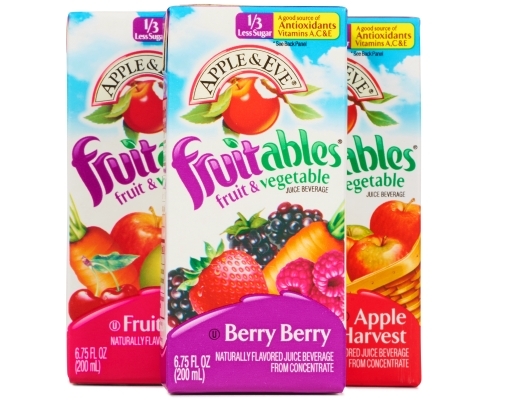 Fruitables has both the great taste of Apple & Eve pure juices AND real vegetables! 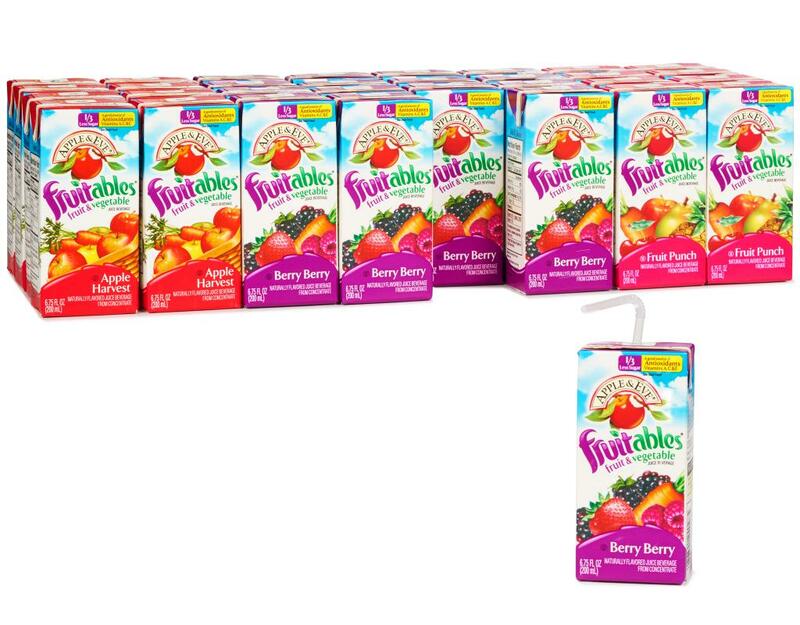 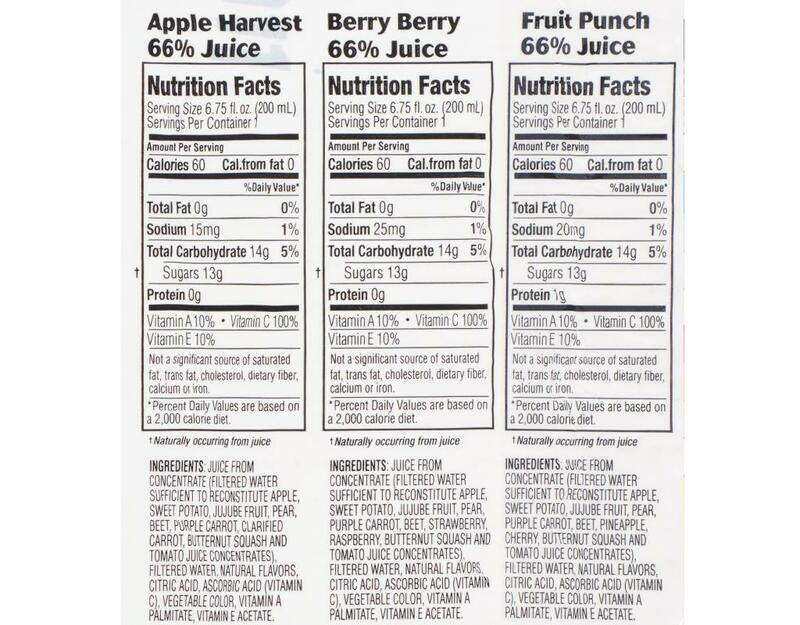 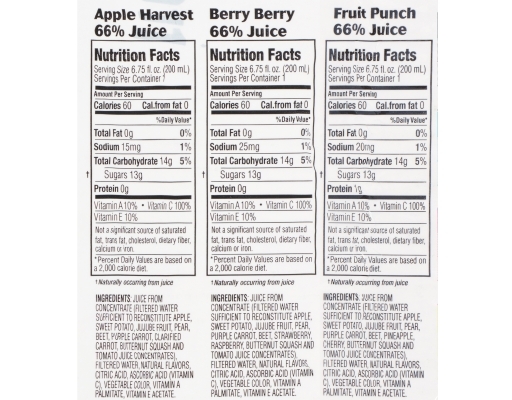 And with 1/3 less sugar than regular leading juices, Fruitables are delicious as well as nutritious. Fruit Punch: Fruitables Fruit Punch, a delicious blend of juicy apples, pineapples and cherries. 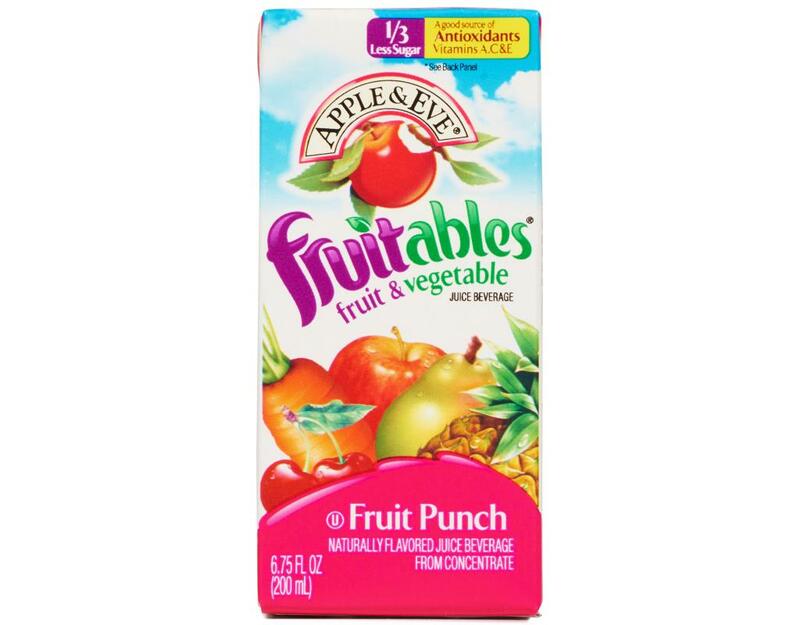 Not too sweet. Not too tart. Deliciousness the whole family will enjoy. Berry Berry: Fruitables Berry Berry Juice is so lip-smackingly good, just calling it “Berry” wouldn’t do it justice. 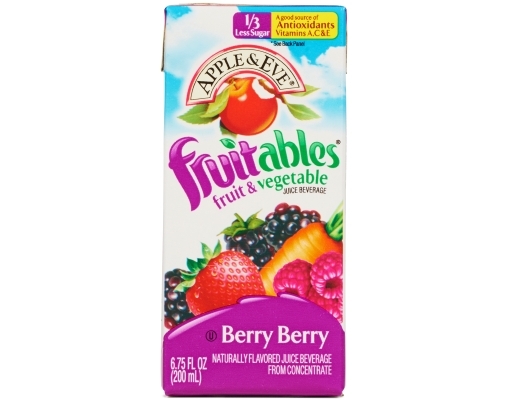 With the delectable flavors of strawberry, raspberry and blackberry, this juice is for major berry lovers. 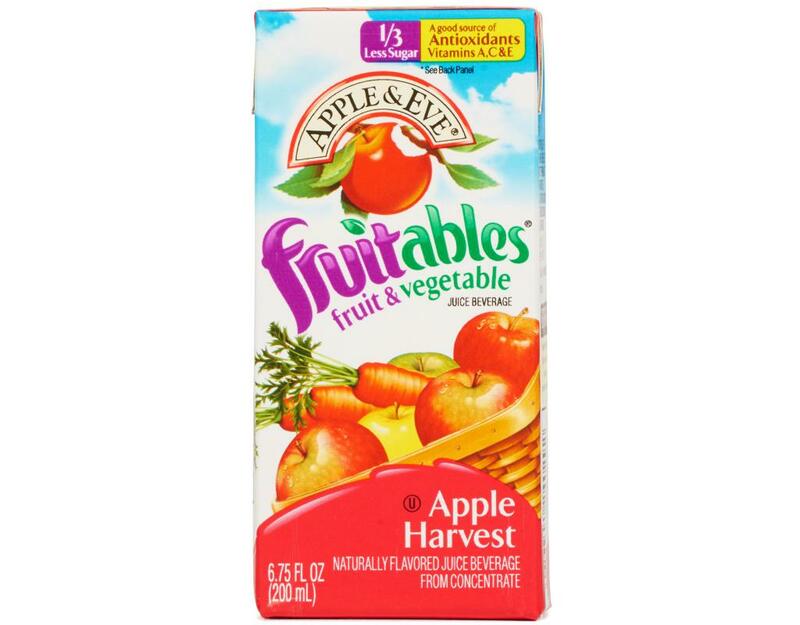 Apple Harvest: Fruitables Apple Harvest is a delicious blend of juicy apples plucked from the orchard.